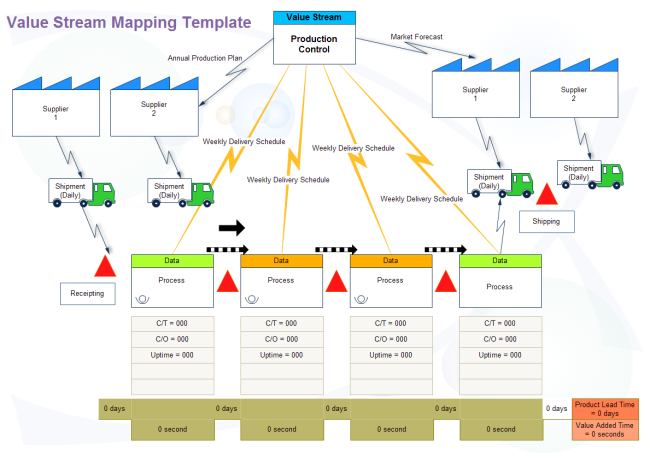 Description: A free customizable value stream map template is provided to download and print. Quickly get a head-start when creating your own value stream map. It clearly depicts how the products and services are delivered from producers to consumers. With everything ready-made, you can use it whenever you want.